The first week of school has me on an early schedule, up way before dawn. Which means I get to watch the sun rise. 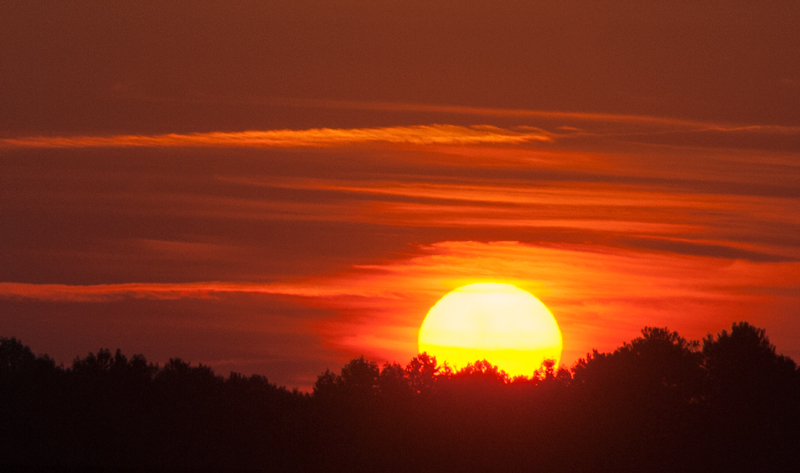 Tilly texted me from the school bus at dawn, saying it looked like it would be good sunrise. She wasn’t wrong. Sunrise was 6:53am. I shot this just after 7am with my Nikon D200 and 200mm zoom on a tripod perched on the railroad tracks along Zion Avenue in Cornelius, looking east through the Antiquity neighborhood. Settings: f/14 at 1/250 ISO 100. 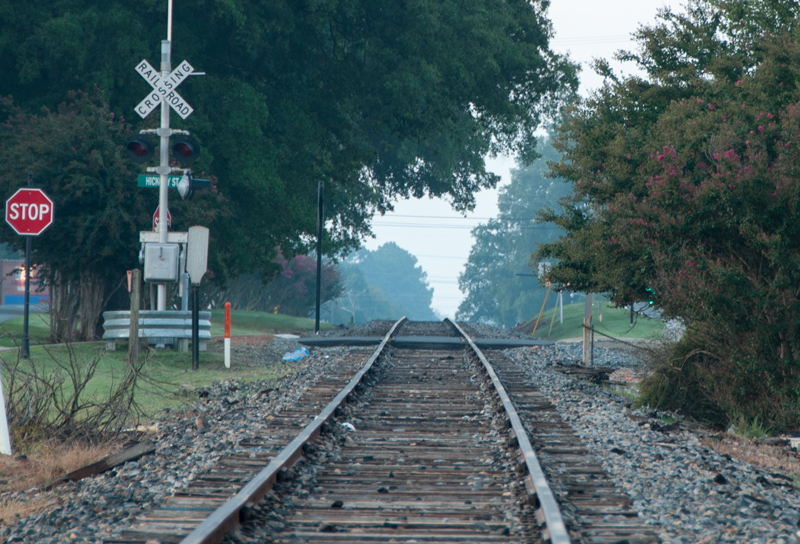 Here’s another, looking south on the Norfolk Southern tracks toward the crossing at Hickory Street, just before sunrise.